Yeah, seems ages ago I was posting about being on a weeks break. Back at it today. Haven’t felt well all weekend and that feeling bugged me all day, think my clock is just out. Hoping I’ll be back on form tomorrow. Wasn’t a great day yesterday either. I treated the main pond again for Costia, just to get any stragglers, and one of my male fish had a panic attack and I had to stop treatment. I am going to have to leave them alone now till after winter is over. They’ve been through the mill, as have I. So pop over there and check it out. Had a lovely day relaxing yesterday. Got chance to catch up on some reading. It was great. After the losing our Koi on Sunday I was messaged on Facebook by an old family friend. She was having lots of problems with their fish. I went to school with their son Bradley who owns the fish and I offered my limited knowledge and use of a scope to see what was going on. The pond, lovely a good size and so are the fish. But, they were pretty poorly. I’ve kept Koi for 4 years now. and as soon as there has been the slightest odd behaviour from my babies, I’ve had the help of someone with a microscope. My local two dealers over the years, have called me paranoid and hard work lol… but I’ve known the bugs were there long before the outward signs were. Our old school friends mum and my mum used to know each other very well, so my mum tagged along for a catch up, while I took a look at their fish. It wasn’t hard to see that they had problems from looking at them, very heavily mucused up. So much so that they were practically blind. Bit like the Ogon I rescued earlier this year when we had flukes. I caught their nice Showa, and took a sample from him. It practically dripped onto the slide. Yikes. I wasn’t sure what I was going to find, the owner said it looked to her like their skin as coming off, this was just excess mucus, but on first look under the scope at 40x the problems were obvious. To any other non Koi keeper Chilondonella and White Spot won’t mean too much, but for those of us who do know, we know how badly these fish have got it. She had been trying to treat them, with some medication I’d never come across before. It did say on the packaging that it dealt with both those parasites, but with the mucus layer being so thick I don’t think it stood much of a chance. I offered her my suggestions and am willing to go back to re-scrape in a week. Fingers crossed for them. They’re in a bad way. I have no idea why, but this laptop wouldn’t show me what I was videoing as I was doing it, so it isn’t very good. I also need some new lenses… but it gives you an idea of the numbers of bugs involved. Today, we decided to take a little ride to Quality Nishikigoi I had the pleasure of speaking to Tim earlier in the week over my shusui and wanted to see where his place was. So today we lost our Shusui. A Koi that we have had for 4 years. Of course, she didn’t look as clean as that anymore. The blue had spread, but she was one of our first, and you don’t forget that. I wondered if you could protect the content of your blog, as I was going to upload some of the autopsy pictures. However, realized they might be a little gruesome for some. So decided against it. The autopsy revealed she had a large cyst. And millions of eggs. Although the eggs were not bad there was nothing we could have done to save her. A real shame, but at least she isn’t suffering anymore. Sorry that this week has been a tough one. Hopefully, it will get better from here. So, yeah it has been a pretty mixed week. Quite simple really, its been tough. Very tough. Work has been hard, hard to get through each day. I hate that the nurse tells me things I already know. Blood pressure is still up. If it continues then I may have to go on tablets etc etc. My weight is a big issue with her, because I know I am a big girl. I don’t hide from it. But what would she sooner me be, eating, or not eating? No brainer really. My body is, as it is. But there is a decision to make, between being ill in ‘one sense’ and then being ill in another. I have had a good week ‘food wise’ stuck to what I wanted to eat and didn’t let the work side of things get to me so that I over did it. I have been quite shocked in the fact that a pair of wellies didn’t fit me over the weekend and now that they do. I don’t like drastic weight loss, it fuels the Eating Disorder behaviors that are so stuck in my head. Those behaviors which I fight so hard to ignore every single time I am confronted with food. I wish Recovery was so simple, you get over it. But in my mind, you don’t. There is this thing that has been deep seated inside your brain for, well for me 17 years. 4 years in recovery just still doesn’t quite cut it. The good thing is I know. I know all the tricks that ED tries. Believe me he sticks that knife in where ever and with what ever I do. I still have the confidence and the drive to fight, and I won’t go backwards. It just really is a struggle sometimes. I am glad that I can still say that, I am glad even though I am doing well with my writing and my personal stuff, that I don’t feel the need to change. People will love me, or hate me. But, I don’t lie, and I won’t. Ed did that enough for me in those 17 years. 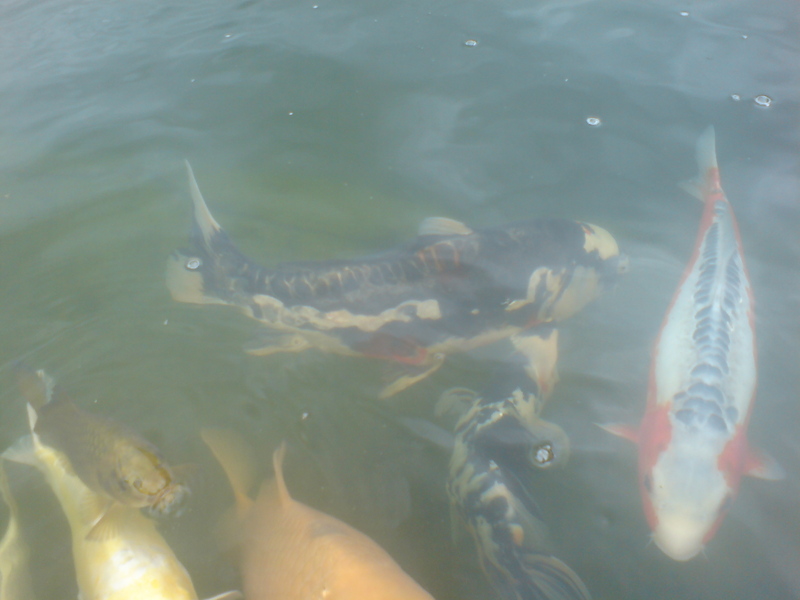 I’ve had some big issues with my Koi this week, and they’ve not got easier. One particularly sick fish is really struggling. But, I’ve had a good friend come out to help out today, and I’ve decided on a course of action. It still is touch and go. Costia is the worst thing I’ve ever encountered. But it isn’t over yet. She hasn’t given up just yet, and neither will I. Will let you know how we get on tomorrow. A sharp PP bath, and into my QT tank with my baby fish she will go. Fingers crossed. I have had a very pleasant week. Best Friends going live on you tube, has been the light keeping me totally on track. I’ve had the nervousness, I’ve had the excitement and its been the best week of my life in that regard. I can only hope that it continues to hit home and that people can relate to the girls situations and to the relationship they have with each other. So keep watching, and keep us in your thoughts through this next week. On every level, I need positive vibes. So, after a very nerve wracking night, it is live. And I am well chuffed. I also listened in to the radio interview with Nancy Criss and Priscilla Leona. It was actually really nice to hear Nancy’s voice and even nicer to hear that she has a ‘talented writing team’ ! As for Melvin, well he is talented, and awesome, and even more so is my ‘Best Friend’ who I’ve known for 4 years… and we write like we really are partners in crime, when brain storming we are so good at bouncing stuff about. Coming up with ideas for the character quirks and ideas for Best Friends was great fun. As a writer, half the battle is having fun, and we really did. A huge thanks to everyone who has helped us out in supporting Best Friends. Two other films are on the go.